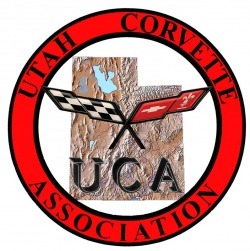 The Utah Corvette Association was formed in 2009 by a group of Corvette enthusiasts whose mutual interests include competitive driving events, road trips, participation in car shows and charitable work. Most Association members also belong to the Western States Corvette Council (WSCC) and participate in events such as the bi-annual WSCC Convention in Las Vegas and Corvette Corrals associated with IMSA racing events. The Association is "Radioactive" as nearly all members are HAM radio licensees (not required but we can help you get licensed) and utilize their HAM radios on road trips, at the track and at charitable events. Members have won numerous awards for their road racing, autocross and drag racing skills. The customization and attention to detail of member vehicles has also brought many trophies and accolades. We have close ties to other brand car clubs with like minded drivers which enhances the competition and the camaraderie. Our sole objective is to have fun! Our Association has no officers, rules or dues! Every Saturday morning from 6 to 10 AM, (not everyone is an early riser) a group of Corvette owners and other car lovers meet for coffee and conversation at Sunset Coffee, 7978 South 1300 East in Sandy Anyone who loves performance cars, of any make, is welcome. Come join us, you'll have fun. Saturday, May 4th from 10 AM to 3 PM, we will participate in a charity event to support the West Valley Animal Shelter, 4522 West 3500 South, WVC. We will leave Sunset Coffee at 8:45 AM and caravan to the event. Corvettes and all our friends are welcome. There will be food and entertainment on-site. Entry fee is a donation to the shelter. See you there! June 18th thru June 27th will find us making our way to Penticton, British Columbia to participate in the annual Peach City Beach Cruise. 850 cars are expected. Some of us have done this trip before and feel it is one of the greatest routes and events on the planet. We will also tour and sample wine, cheese and food at several wineries during our stay. See the following link for full info or contact Ken. Watch for further details as we get closer to departure. If you plan to attend, you need to make your hotel reservations for Penticton NOW as the town will sell out long before the event. A group of us will make the trek, October 9 thru the 13th. to the annual Mecum Car Auction at the Las Vegas Convention Center. We will also tour the Shelby facilities along with a few other surprises. As we will likely drive "grocery getters", everyone is welcome. If you plan on attending, you need to make your hotel reservations NOW, as the area will sell out early and room rates will soar. Contact Ken for further details.